The only specialized exhibition of industrial fish farming in Ukraine FISHEXPO will take place from June 7 to 10 in the frames of AGRO 2016 in Kiev, Ukraine. 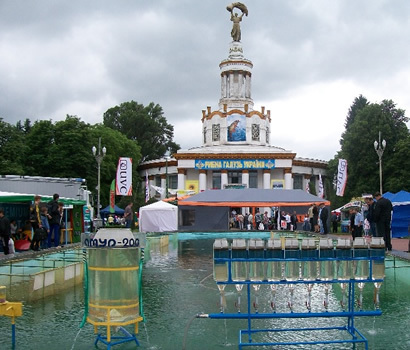 The highlight of exhibition is unique show of the most common commercial species of fish, which is located in the outdoor pools of Expocentre of Ukraine. To exhibit, please use the application forms of AGRO 2016. Standard equipped booth - EUR 190 / sq.m. Unequipped exhibition area in hall - EUR 165 / sq.m. Outdoors exhibition area - EUR 90 / sq.m.